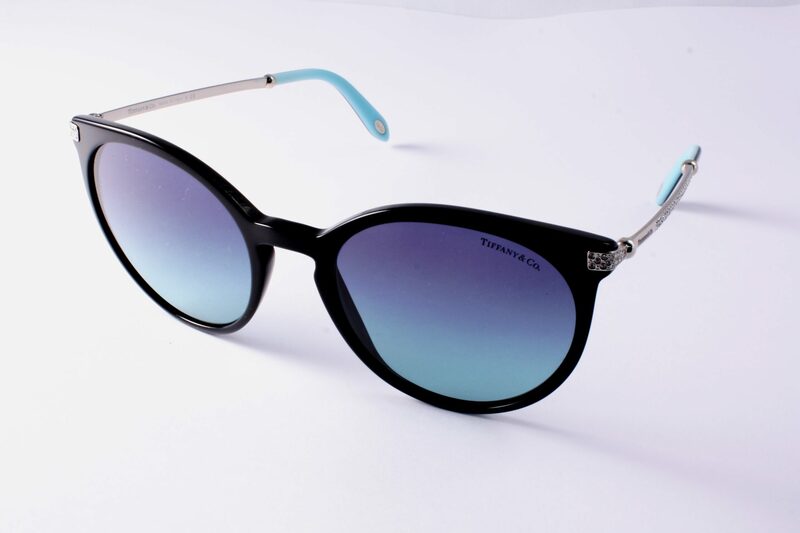 Tiffany 4142 B Sunglasses colour 8001 9S. Round plastic sunglasses by Tiffany with metal sides decorated with Italian crystals all the way down. In black frame backed in duck egg blue. Gradient grey lenses with 100% UV protection. Free UK delivery. Includes Tiffany blue hard case and box. Size 54mm with 20mm bridge. 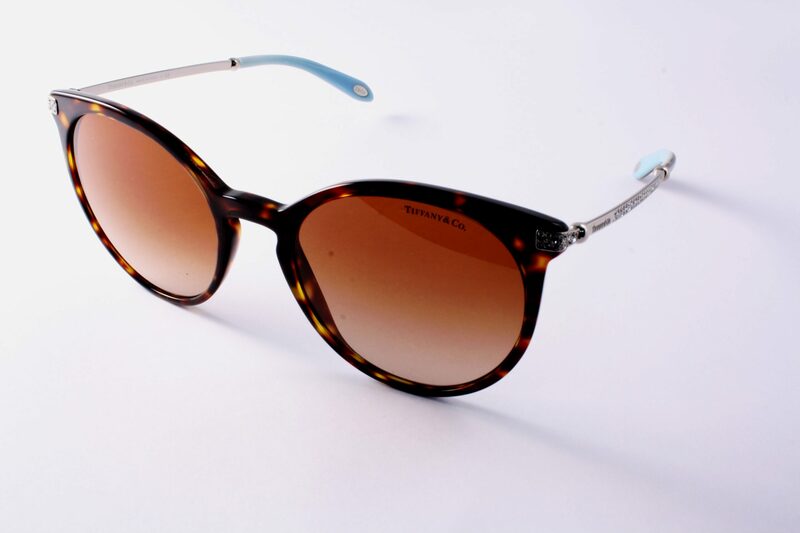 Available in tortoise brownk with duck egg blue and all black. Call our Nottingham showroom for advise. 14 day money back if not completely happy.